SlatMaster from Grand Rapids area Cedar Springs Fence lets you create a beautiful custom look that combines the strength of chain link with the privacy and good looks of wood or polyethylene plastic. 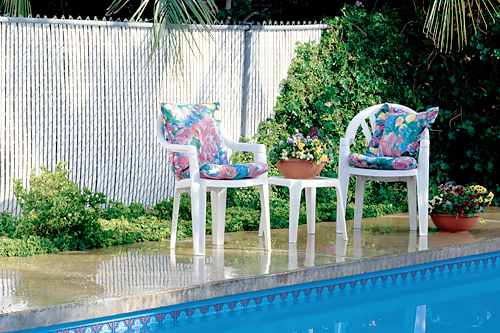 SlatMaster fences are durable and easy to maintain. SlatMaster arrives in rolls of pre-woven slats so it is quick and easy to install. SlatMaster has the advantage of pre–woven slats already in place within the chain link fabric. This makes fence installation quick & easy. SlatMaster features superior durability and is resistant to damage caused by severe weather, environment and pollution.